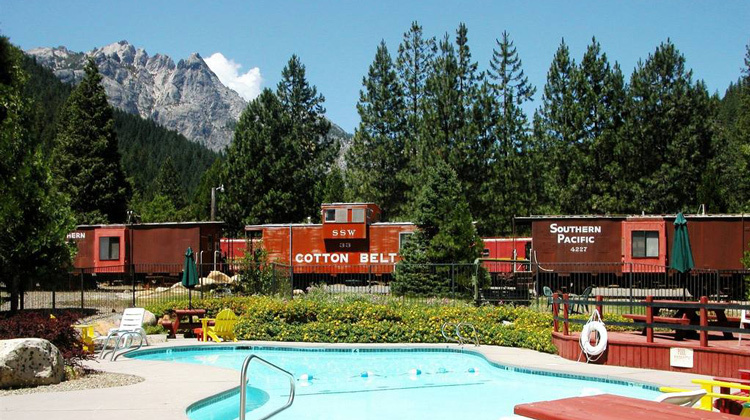 Since 1968, the Railroad Park Resort has been reliving the romantic days of railroading. Experience the Dinner House & Lounge built inside restored antique railroad cars. Live the life of a railroader without sacrificing the comforts of today’s modern conveniences by staying in a Caboose at the Caboose Motel . Camp along a clear mountain creek in the pines known as Castle Creek. Find a nostalgic treasure in the unique gift shop or explore relics like the Willamette Shay gear-driven steam logging locomotive, the 1893 Wells Fargo Car, or the wooden snow plow and flanger.